Mahindra and Mahindra today announced the commencement of bookings of its upcoming offering, the XUV 300. The company has already confirmed that the launch will take place on February 15, 2019. This is the homegrown carmaker's answer to SUVs like the Maruti Suzuki Vitara Brezza, Tata Nexon and Ford Ecosport. The compact SUV was unveiled during its name-reveal event recently and sports styling inspired by the larger XUV500 SUV. The bookings for the XUV300 would be accepted at Mahindra dealerships across India and the official brand website, starting today. The Mahindra XUV 300 will be available in three variants (W4, W6 & W8) and one optional pack (W8) (O). While details on the powertrain options have still not been disclosed, Mahindra mentions the XUV300 will be available with both petrol and diesel engine options with best-in-class torque of 300Nm for diesel and 200Nm for petrol engine. 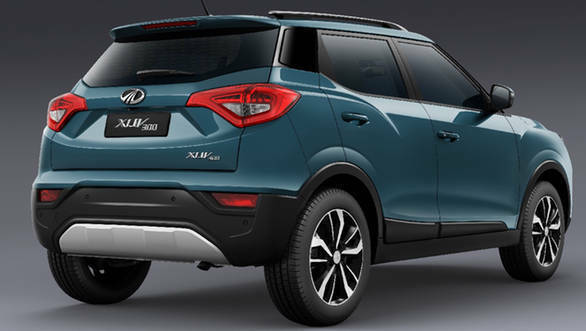 In terms of features, the compact SUV will come with seven airbags, dual-zone climate control and front parking sensors, wherein airbags, ABS, disc brakes on all four wheels will be offered as standard. The official release states XUV300 will offer best-in-class width and the longest wheelbase that will offer generous cabin space to comfortably seat five adults. The SUV will be equipped with premium leather seats, dual-tone dashboard and an electric sunroof. The Mahindra XUV300 has been developed by the Mahindra Research Valley in Chennai and will be manufactured at Nasik and Maharashtra. 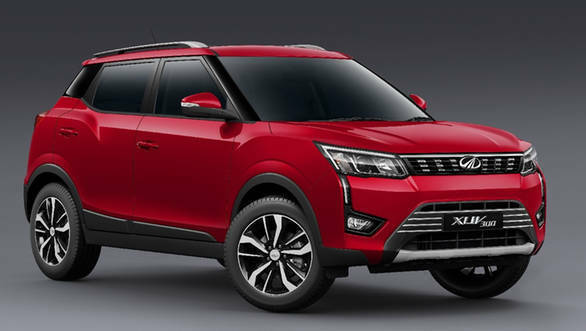 Mahindra has also confirmed that the XUV300 will have an electric version as well that is being developed as S210 and will be launched in 2020. The XUV300 is designed in an understated manner, and has influences of a number of other popular SUVs like the Hyundai Creta and Vitara Brezza. The overall look is understated and is unlikely to polarise opinion. The Mahindra XUV300 will be available in both petrol and Diesel engine options. Also, in the first phase, the XUV300 will be offered with a manual transmission and a front-wheel drive train. An automatic might follow later. Our guess is that the diesel motor will be the 121PS and 300Nm unit from the Marazzo.